People born specifically on the 4th of June are anticipated to be highly dependable and lovable with the typical twin versatility and restlessness. 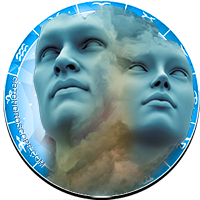 The governing astrological planet for this particular day is Uranus enhancing your originality and strengthening your self will. If you have this birthday an ambitious conscientious nature makes you very practical and disciplined but also once in a while bossy or arrogant. You are friendly, trustworthy and reliable and possess a creative, innovative, analytical mind. Logical and organized you are usually unwilling to waste time, patience or energy on impractical ideas or pursuits and need variety to keep your interest. Individuals with a June the fourth birthday are full of charm and wit together with excellent communication skills and a plenitude of compassion. Your sharp intuition and intellect direct you to be receptive to others and likely to intently analyze and question everything surrounding you. Almost all career types are usually worth considering to a person born on the fourth of June as you are so versatile. Your high levels of practicality, discipline and ambition allow you to easily turn your hand to any required task. Favored jobs may match your probable interest and aptitude for anything scientific or let you express your inventive creativity. You do not ordinarily find managing finances easy and are occasionally prone to rashness where money is concerned. As you mature and yearn for financial security you tend to be able to resist the urge to be impulsive and take saving more seriously. 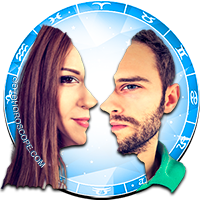 For a Gemini, the person born on the fourth day of June is typically openminded, warmhearted and curious concerning romance. 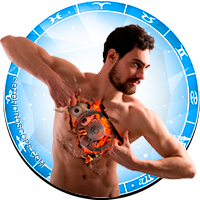 You are inclined to fall in and out of love quickly despite your usual cautious approach and need to feel completely comfortable with a partner before revealing true passions. Friendship, common views and interests along with a mental spark of closeness are often your most important criteria for your ideals of the perfect love relationship. Being intensely close with a soul mate gives you the emotional stability you strongly crave making you feel complete and at your most contented. You are rather romantic but not especially sentimental or demonstrative emotionally. Within a long term loving partnership you are affectionate, caring, protective and loyal but if feeling unloved mood swings can reflect your unhappiness. 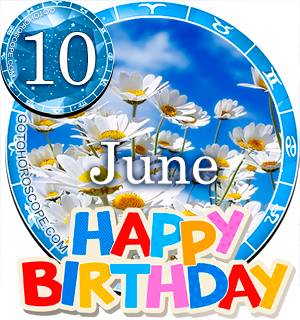 Any health issues experienced by those born on June 4th are usually infrequent due to your enthusiasm for healthiness. You can often border on fanatical in an attempt to keep yourself fit and healthy as looking and feeling great boosts your ego. You are likely to enjoy sports or any competitive energetic pastime to help you stay trim and glowing with vitality. Improving your culinary skill should allow you to be a bit more adventurous with food and knowledgeable about nutritional values. People born on this day benefit greatly from keeping active but ought to take care to avoid pushing themselves too hard. The main strengths of character in your likeable temperament are disclosed in your admirable positive traits of reliability and responsibility. 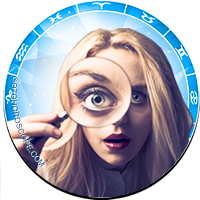 Your intuitive nature, fine eloquence and curious logic are secondary fortes that help you stand out in a crowd and give you plenty of focus and direction in life. Personality weaknesses for those born on June 4th are commonly connected to the restless side of your disposition and nervous tension. When you are in an anxious, fearful or agitated state negative characteristics of demanding and overcritical behaviors will surface and you may become extra obstinate. Being born on the 4th of June means that you are usually excited by spontaneity and likely to have a dislike of planning ahead. If you do set some achievable goals you are unlikely to not limit their deadlines preferring to accomplish things at your own pace. You have a humanitarian edge to your individuality that encourages you to want to utilize your talents and put them to good use helping others. One of your dreams is to be able to do something really worthwhile to improve the lives of those less fortunate. Another common wish is to build secure foundations for stability emotionally and financially. As you were born on the fourth day of the month your birth date automatically allocates you a Root number of Four. This numerical reference to your birthday has the keyword 'Honesty' highlighting your trustworthiness, compassionate openness and soft heart. In the Major Arcana Tarot deck the 4th card symbolizing the Emperor is mystically associated with your birthday. This symbolism emphasizes your ample amounts of wisdom, willpower and steadfastness. The lucky gemstone for June the fourth birthdays is imagined to be Topaz, wearing this jewel attracts happiness and wealth and is thought to repel stress. 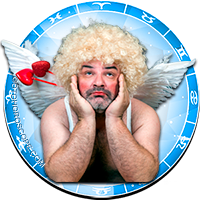 The presumable personalities of Gemini's are believed to be astrologically determined by the influence of the planet Mercury's power. The actual day you were born, the fourth of June is cosmically ruled by the influential planetary forces of Uranus. Therefore the combined influences of these 2 planets are deemed accountable for your zodiacal uniqueness. 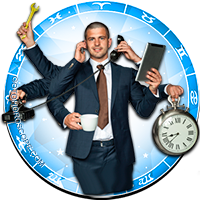 Your confident determination and thorough careful attention to detail assists you to make sensible productive decisions. 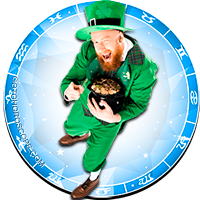 Your instinctive receptiveness, friendliness and communicative spirit present you as a nice understanding individual with a skillful way with words, Learning to control your weak spots presenting during worried tense moments could be easier than you think and should have many benefits. A concluding thought for people born on June the 4th is to accept yourself exactly as you are and try taking some time out regularly to relax and reflect. Being completely happy with your true self can escalate both your confidence and progress. AwesoMe. ...true facts ss. .!!!!! I m happy to read something that was actually relating to me..
but plzz tell me who match with 4th June? I'm amazed at the accurate personality traits.Very true! i'm glad if someone reads this can understand my personality at once. Thank you for writing this. [just=left][/just] yep, that's me alright. Wow... Culinary Skill & Nutritional!Sounds just like me! I am in some confusion about this. I don't know whether it is true or not.Some of the things which are mentioned above are not matching even though mine is 4 th jun . Let us see what will happen. After 9 years definitely i ll revisit this and compare. My better advise is don't follow this. Did any one try wearing the Topaz ? Dude....real balltic Amber...get a nice rock. My girlfriend put it around my neck...FIRE, BEATS, POWER were running in my veins. Make sure its real, plastic dont work.